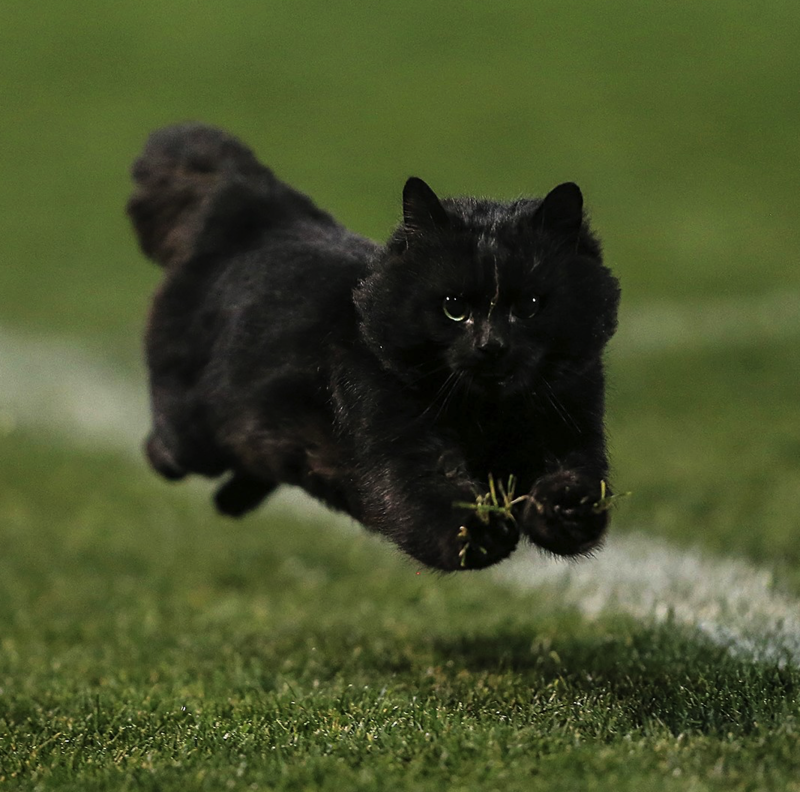 A black cat interrupted a rugby game between between Australian rugby league teams the Penrith Panthers and the Cronulla Sharks during last Sunday afternoon’s match, and the sight was no less than majestic. 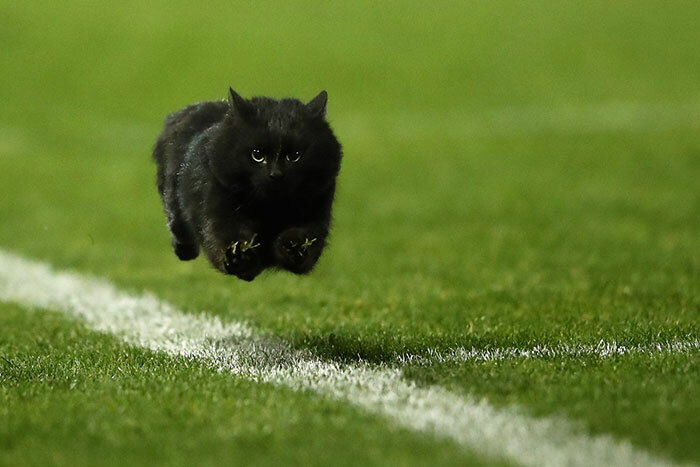 The speedy feline rushed through the Pepper Stadium back and forth as fans cheered it. It must have been a nice distraction from the fact that the home team Panthers lost 26-10 to the Sharks. 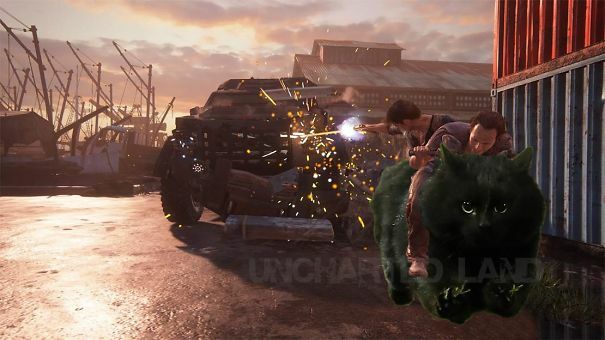 The unusual intrusion also echoed throughout the internet, giving a solid reason for a photoshop battle. 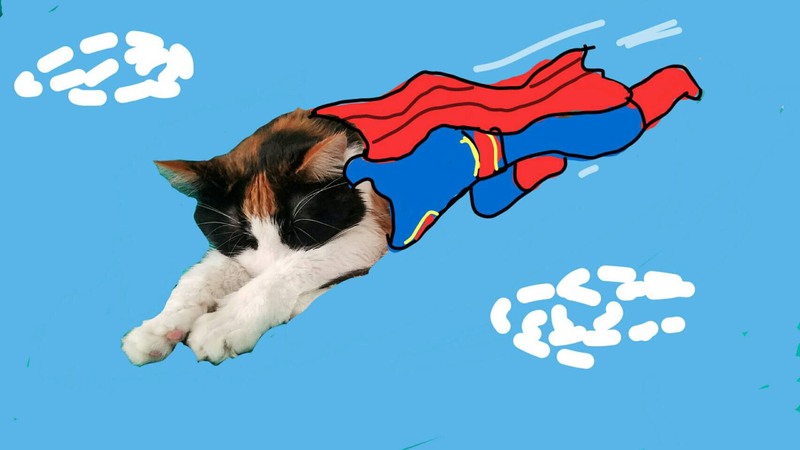 Take part in this challenge and submit your own photos, or vote on your favorites! Oh I thought this was mimicking 'The Lion King' when Simba was seeing his dad in the sky. #17 Low Pass Flying Crow-cat! #19 You're A Cat, Harry! We heard some extraordinary things come out of his mouth, but this beats the lot. 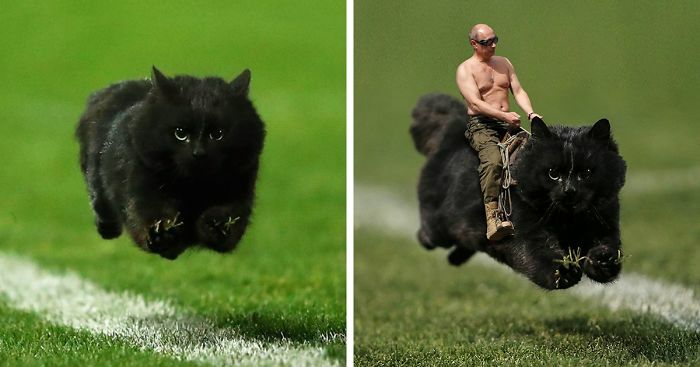 #26 Battle Of The Catstards! *YOUR*??????????? Oh Dear Panda - be not so Bored you do not have a Dictionary..
LOVE this and their expressions! #32 Get Along, Little Kitty! #37 Soot Sprite In The Stadium! #48 You Can Try Cute I'm Blending In! #73 Spider Cat, Spider Cat. #75 Time Out...time Out Please! Black cat appreciation day - this year it's 27th October. Celebrate black cats, not destroy them!